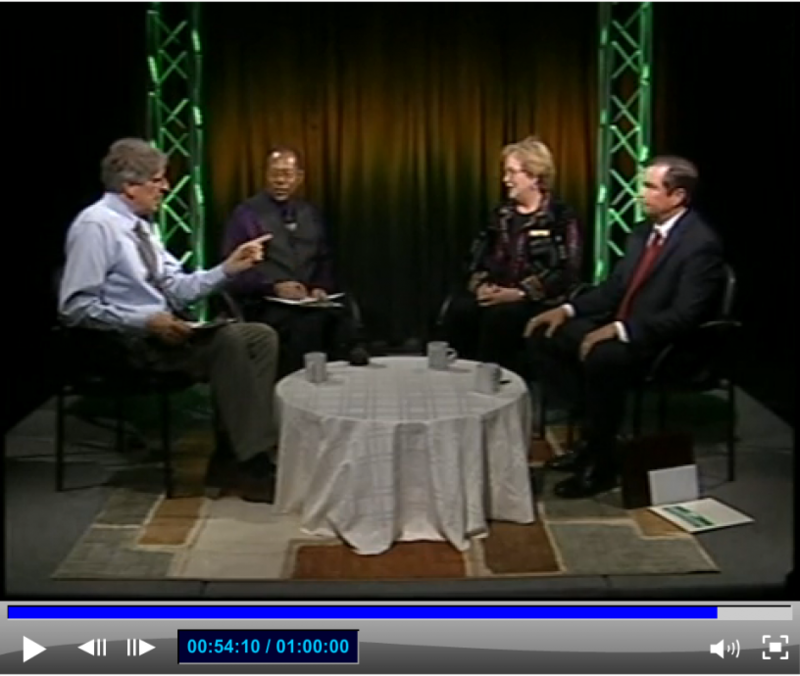 As Primary Election Day approaches, Whitewater Community Television is doing a great community service by partnering with the Wayne County Area Chamber of Commerce to broadcast debates between candidates for Mayor and City Council as a part of their IN Focus series. I’m enough of a local politics observer that I plan to watch each of these, but since they’re accessible via cable TV and online I hope many voters in the community tune in too. It was clearly the first debate of the local political season; both candidates seemed a little nervous and stiff, as many of us would be under the pressure of lights, cameras and pointed questions. No matter how much one might like or dislike a given candidate, you have to appreciate them for subjecting themselves to the process. The challenge of this format is trying to get specific, detailed answers out of a candidate in a short enough period of time that you can actually cover some good topical ground. As candidates become immersed in their own political rhetoric, marketing materials and catch-phrases, they start to sound a little like robots instead of normal humans having a conversation. So, I appreciated both the work that hosts Eric Marsh and Bill Engle did to get past the rhetoric, and the work the candidates did to try wading into some details. Still, I suspect the average voter will find their answers somewhat unsatisfying. The general theme was often “we’ll have to look at that” or “the Mayor needs to ask those hard questions and communicate better” or “you have to be sitting in the Mayor’s chair before you can know that.” This is a very standard kind of answer to give – I’m sure I did it when I ran for office – but it also kind of defeats the purpose of a conversation designed to help voters know your views and approach BEFORE you get elected. Getting specific is hard, but important. Saying that you’ll figure it out once you get there is asking for a lot of voter faith, but at the same time speaks a kind of truth: that we’re often voting for someone because we like them and trust them to do the right thing most of the time, not because we agree with (or even know) the specific details of their plans and policies. Overall, there were some important issues discussed, from city finances to appropriate use of EDIT dollars to job creation to protecting people from discrimination. It was great to see WCTV taking questions from viewers by phone and via Twitter. I hope people continue to avail themselves of the opportunity to interact with candidates this way. Voter registration ends on April 6th. Upcoming forums include April 9th, Democratic candidates for Council At-Large, April 16th, Republican candidates for Council District 6, and April 23rd, Democratic candidates for Mayor – I’ll try to post commentary on each. I am glad that you take the time to give your opinion on how you think things in the campaign are going. I had questions and didn’t submit them, but I was relieved that each one of mine was addressed by the hosts and/or callers. I like that Pappin supports at least the idea of stronger protection at a city level by including sexual orientation. I like that Ingram is at least moving in a good direction with stronger checks on tax abatements. But even the measures he brought up seemed minimal in light of what some other communities are now requiring. They both seemed nervous when questioned directly, and I thought the hosts seemed better informed than the candidates themselves. That troubles me. I also thought it was strange that when questioned about revenue both candidates leaped into criticizing the way city employees/departments are handling cash. I am not too familiar with how our budget is spent, but the bit about ice cream seems unfair in light of these same employees not receiving their due raises for eight years now. Wasn’t the only city wage increase voted through for the mayor’s position last year? I still don’t know who will be getting my vote. Thank you for posting the link to watch a replay of the debate. Will there be a debate between the Democratic candidates?